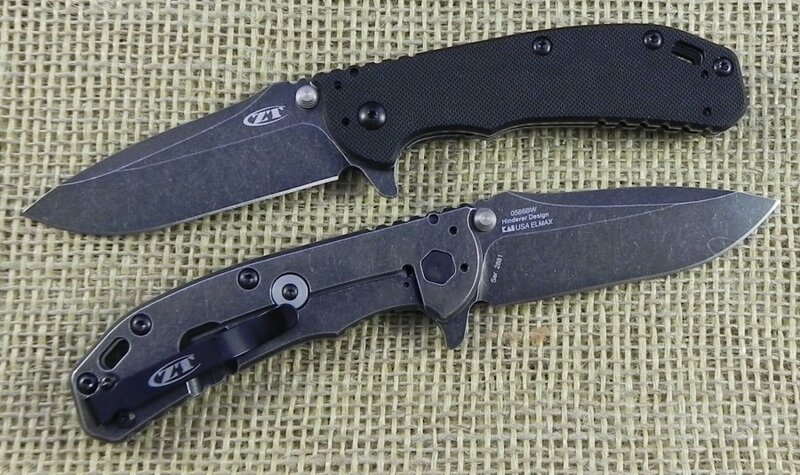 Zero Tolerance Hinderer. 4 3/4" closed framelock. 3 1/4" Blackwashed finish ELMAX® steel blade with dual thumb studs, thumb ridge and extended tang. Lockbar stabilizer. Speed-Safe assisted opening system. 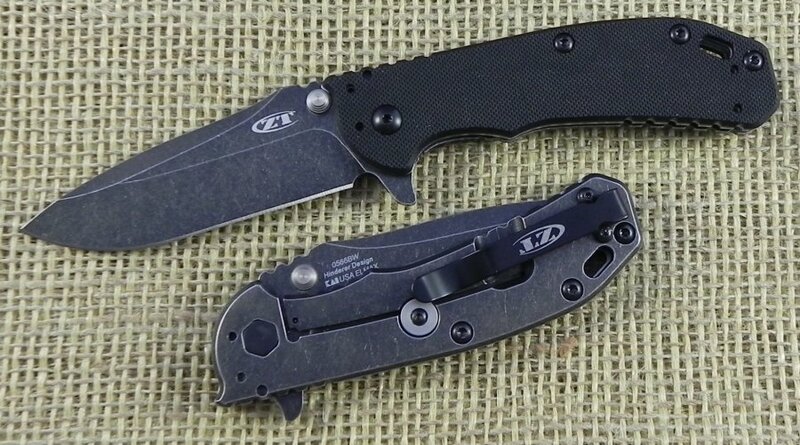 Black textured G-10 front handle and stainless back handle. Lanyard slot. Quad-mounting system. Deep carry, stainless pocket clip. Designed by Rick Hinderer.